With Media Pool Mobile app, your field and sales representatives as well as your channel partners can access all stored digital content at lightning speed, no matter where they are. Whether on a smartphone or tablet, the app always provides you with the right videos, presentations and documents for successful sales meetings. Do you organize roadshows, visit events or work with numerous dealers and distributors? Then you know that marketing material will only be used if they are easy to access and easy to share. 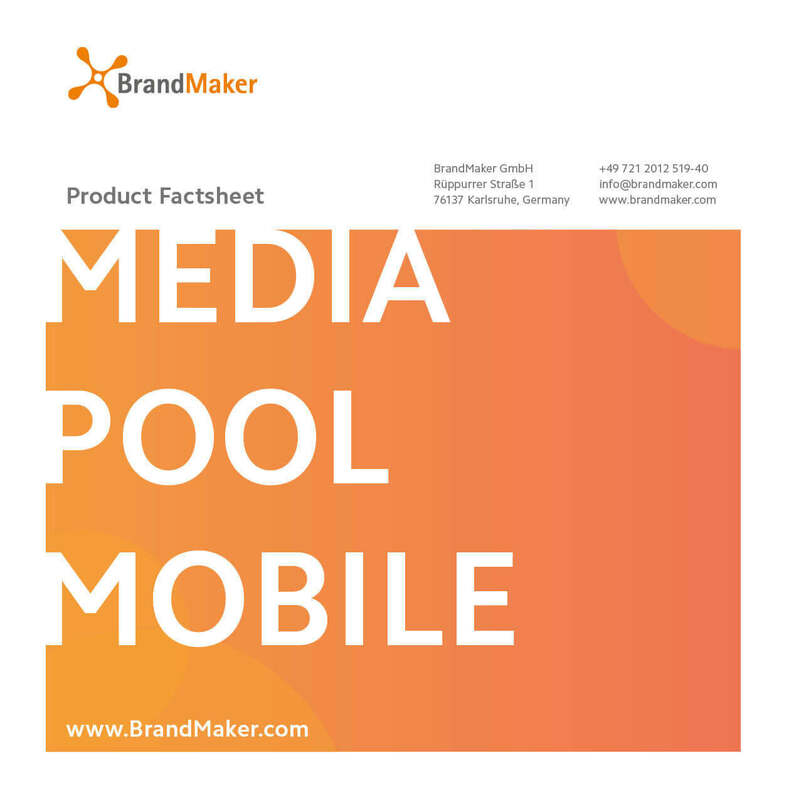 With BrandMaker Media Pool Mobile you can show marketing materials from mobile devices and share assets with prospects in just a matter of clicks. With Media Pool Mobile, your sales staff have digital assets always and everywhere at their fingertips. Show your customers digital assets easily and directly from your mobile device. Professionally share digital assets with your customers to leave a positive impression. The central marketing team selects the materials to be made available on the app and ensures relevant and up-to-date content. The app guides your local teams via intuitive user interfaces and effective search functions to the desired documents. Decide whether you want to share a single document or want to send your lead on a complete content journey. Service your contacts with a series of meaningful information pieces to support their decision making process based on individual interests and content consumption behavior. 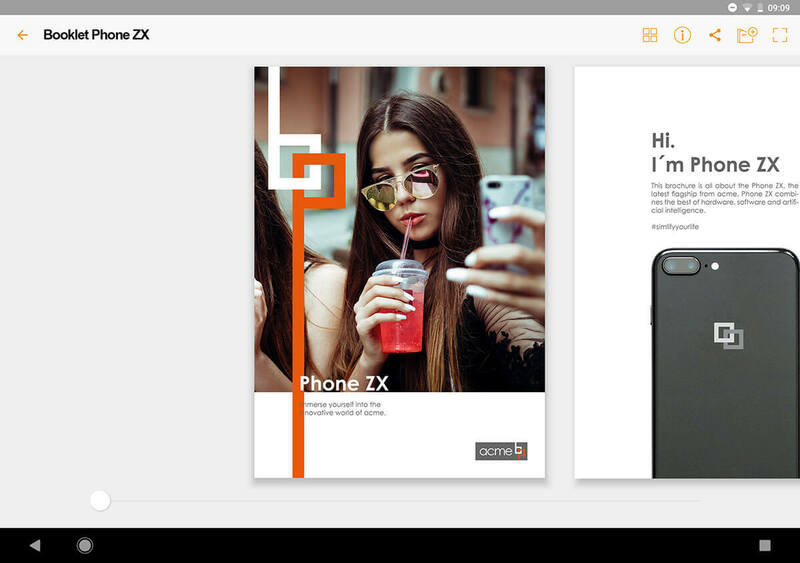 All actions and activities gradually lead to a complete lead dossier that opens up a new level of interaction between your sales team and respective contacts. Your sales representatives can also easily upload their own documents to the app. This allows to combine customer-specific documents, such as sales presentations or quotations, with centrally shared corporate assets. 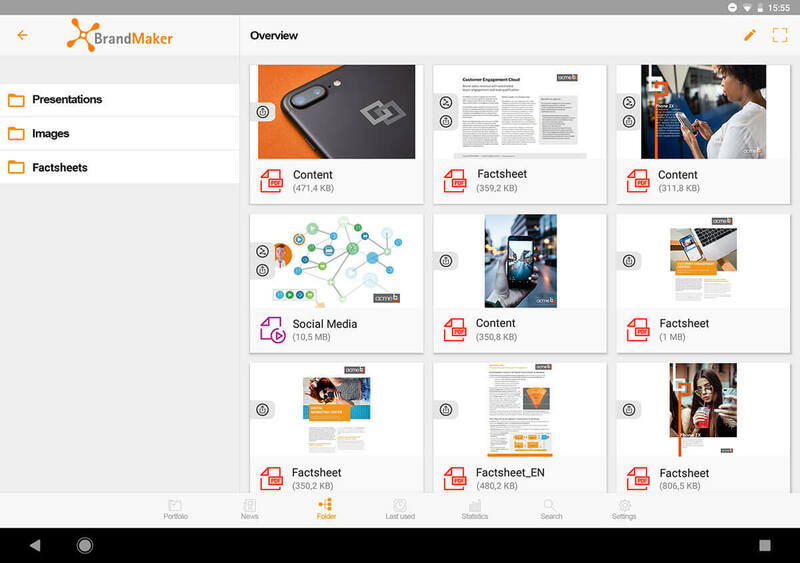 Having marketing and sales materials bundled in one portfolio helps users to be perfectly prepared for the next meeting.